This Cuisinart WM-SW2N Sandwich Grill drops from $40 to $15.99 at Amazon. Shipping is free with Amazon Prime or with orders over $35. This is the lowest price we could find by $4. It features nonstick baking plates and can grill two sandwiches, omelets or servings of French toast. Sales tax is charged in most states. Here's something fun for the summer with the kids! 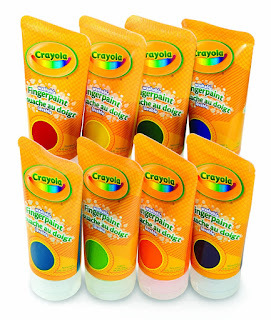 Get Crayola Fingerpaints Bold and Secondary Colors, 4 fl oz, 8-Count for $12.99! These sale for $14.48 only 4 pack at Walmart! Check this deal out! 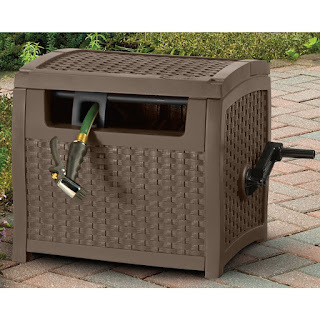 Right now you can get a Suncast PTW175 Mocha Wicker 175-Foot Capacity Hose Reel for $38.24 (Retail $69.99)! If you prefer, Walmart has this listed for the same price. 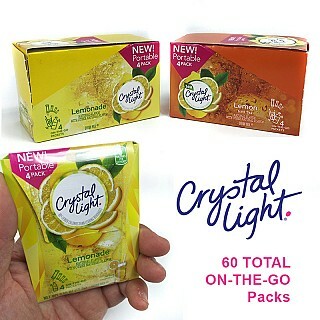 Hurry over and check out this 60 pk Crystal Light On-The-Go Packs for $6.97 with Free Shipping when you use code REFRESHING during checkout! Right now Groupon is offering Up to an Extra 30% Off Select Local &amp; Goods Deals for select cities! This is a great way to SAVE on Food, Entertainment, Family Activities, Beauty &amp; Spa + More! NOTE: No promo code required - prices as marked. Right now when you purchase through your mobile you can get a $25 Restaurant.com Gift Card for ONLY $5 when you enter code BOOM at checkout. Make sure to let us know where your favorite places are to eat! I have to confess! My daughter came home from Grandmas this past weekend with a iPhone Wallet and I LOVE IT! I just came across some pretty sweet deals on iPhone Wallet Cases. I just grabbed this iPhone 6 Plus Wallet Case - Folio Wallet Case for iPhone 6 Plus by Silk - Protective Portfolio Cover with Foldable Kickstand ONLY $14.99 Shipped (Retail $29.99) for my husband and iPhone 6 Plus case,Nancy's Shop **New** Fashion Leather Wallet ONLY $7.99 for me!